Regent University is one of the nation's leading academic centers for Christian thought and action, with a multitude of graduate and undergraduate programs available worldwide. Our academic standards are high and our programs rigorous, but what sets Regent apart is our mission to prepare capable men and women to excel both in mind and spirit. Our students, faculty and administrators share a calling, founded on Biblical principles, to make a significant difference in our world. 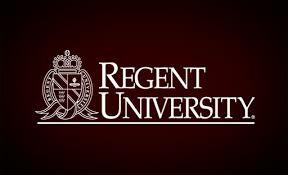 Regent is a top choice college education for military and a fully accredited Servicemembers Opportunity College (SOC) offering online and on-campus classes from a Christ-first and Biblically anchored perspective. Whether you are on active duty, in reserve units or an Armed Forces veteran, you will find that Regent's values of Christ first, excellence and leadership complement your Service's core values well.